We have only gone and done it! England are through to the knock out stages of the UEFA Euro 2016. Here at Butlin’s we are all waiting with baited breath (well some of us anyway!) to see how far England can go in this captivating competition. 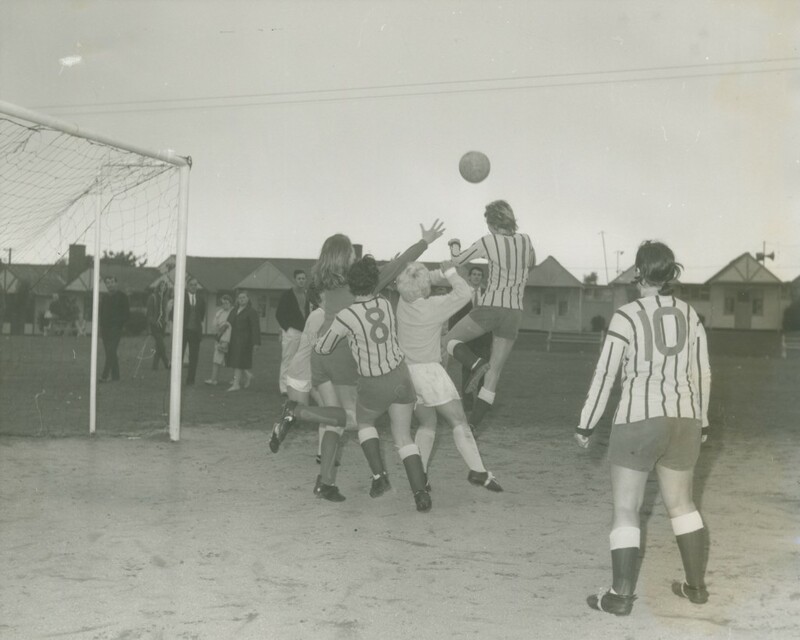 Butlin’s, like a lot of the nation, has always loved football and with today’s game kicking off later this evening we thought we would share our favourite football snaps from days gone by. Everyone loves a kick about whilst on holiday, and Butlin’s campers were no exception. 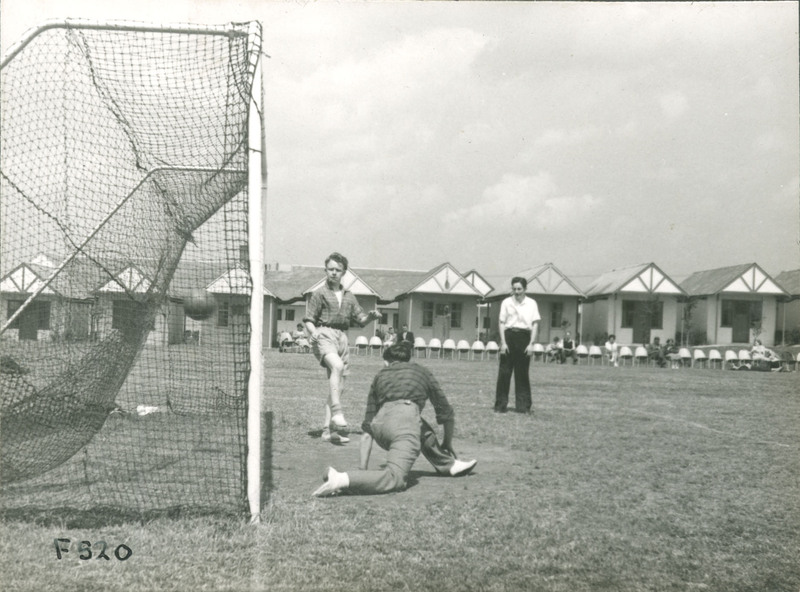 Football pitches were created in large greens outside our chalets as early as the 1940s. The action shot above shows a goalie dive as a camper scores a goal in 1947! If you thought Celebrity football matches like today’s Soccer Aid were a new phenomenon, you were wrong! 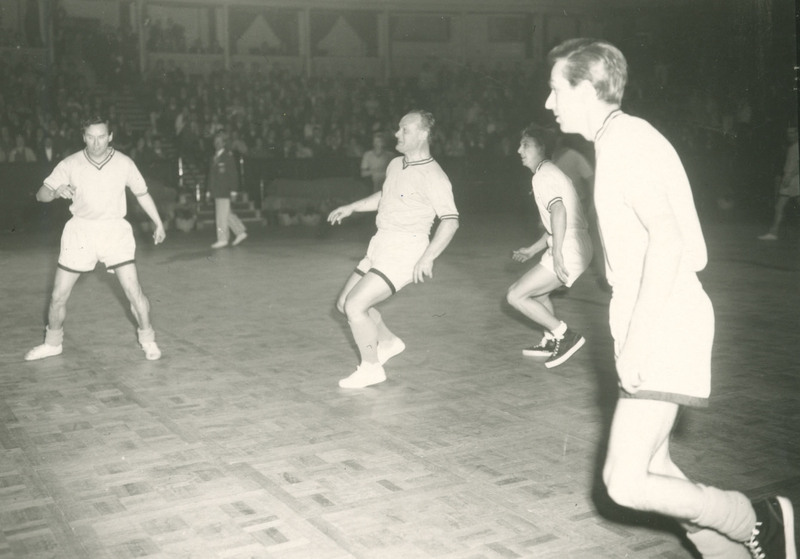 In the 1960s our Billy organised celebrity matches at none other than the Royal Albert Hall. British Teen Rock ‘n’ Roll star and ex-Redcoat Tommy Steele (the first ever British Teen idol, who’s single ‘Singing the Blues’ reached Number 1 in the charts in 1957) can be seen playing a celebrity match in 1962.
Who says Football is just for boys? Butlin’s has supported women’s football for decades now. Here’s the Foden Ladies of Sandbach, Cheshire playing against the Fleece Fillies of Ossett, Yorkshire at Butlin’s Filey in 1970. We are looking forward to the excitement of the Euros again next year when we cheer on the Women’s England team in the championships! A love of football can start at a young age, and we believe in nurturing footballing talent. Originally collaborating with the Daily Express, we ran a football coaching scheme throughout the 1970s. 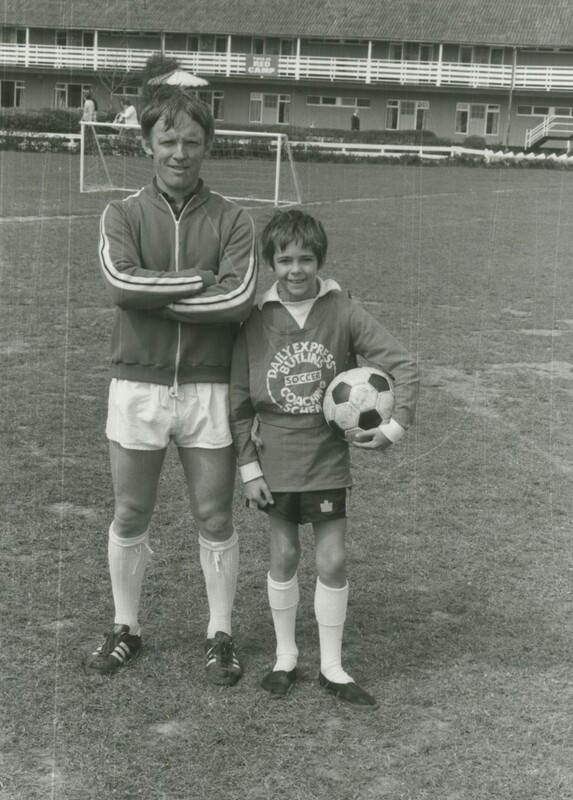 Above shows footballer Andrew Wheatley with Coach Tony Heaney at Butlin’s Bognor Regis, in 1979. This evening we’ll be sat nervously watching the England team, with our fingers and toes crossed!